Sometimes roofing projects come up by surprise. When time is of the essence, you may not be able to spend a lot of time researching roofing contractors and comparing bids. Emergency situation or not, it’s your roof and you want a quality job at a fair price. Asking these 10 questions will help you find a reputable contractor for your roofing project. Do you offer onsite inspections and estimates? If a contractor tries to offer you an estimate over the phone without viewing the roof in person, you may want to consider another contractor. The size, shape and condition of a roof are all factors that can only be determined by an onsite inspection. Are you licensed? Before you hire any roofing contractor make sure he is licensed in the state where he is working. Every state requires that contractors be licensed; local cities and towns may have varying regulations. Check with your local government offices for regulations and then ask the roofing contractor for a copy of the appropriate licenses. Do you carry insurance? This is an absolute must. Any contractor you hire should have general liability and workers’ compensation insurance if they have employees working with them. If a worker is hurt while working on your property and the contractor doesn’t have workers’ comp insurance, you could be held liable for medical expenses and loss wages. Ask the roofing contractor for written proof of insurance. Do you offer a written contract? A handshake is polite but it won’t protect you in the event of a problem. You need to have a detailed contract listing the work to be completed, the time frame for completion, the type and brand of materials to be used and an itemized list of all labor and materials costs. How long have you been in business? Again, this is not a guarantee of quality work, but the number of years a contractor has been in business is a good indication of their success. Of course every contractor must start somewhere, so don’t let the fact they are a startup business rule them out if they meet all the other specifications. Does your company have a physical address? While a physical address isn’t necessarily an indication of reliability, it does suggest that the company is established and will be around if you have problems while the roof is under warranty. Don’t be satisfied with just a P.O. box; ask for a street address. Can you provide references from past jobs? Ask for a list of names and numbers for projects completed within the past year. Then call a few of them to see if they were satisfied with the job. Do you provide a warranty on materials and workmanship? The materials will usually be covered under a manufacturer’s warranty, but you want to make sure the contractor will correct any problems that arise due to workmanship. Find out the length of the warranty, if it is prorated over the life of the roof and what the dollar limits are. Be sure to get a written copy of the proposed warranty. Are you a member of the Better Business Bureau? Check with the BBB to see if the contractor has had any complaints and if/how the issue was resolved. Do you clean up the work site and remove all the old roofing materials? Is this included in the cost? This should be part of the job but it’s a good idea to ask. 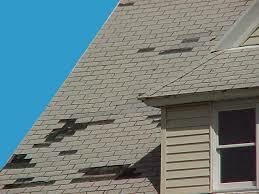 You don’t want to be stuck with a pile damaged shingles that you have to pay extra to have removed. Hiring a reputable contractor to replace your roof can turn a stressful process into a pleasant experience. The Chuba Company has over 40 years of experience in the roofing industry and has been a GAF Master Elite contractor since 2006, something that only 3% of all roofing contractors have achieved. This shows you that we are properly licensed, adequately insured, have a proven reputation and a commitment to ongoing professional training. The Chuba Company has a dedicated team of experienced roofers who have installed over 700 roofs since 2006. We’ll use our vast knowledge when working with you to create the best design and roofing system for your home and your budget. From start to finish, our trained roofing specialists will handle every phase of the project from designing your new roof to ensuring not even a single nail is left behind after we’re gone. And even after the job is done, The Chuba Company’s Lifetime Workmanship Guarantee ensures we’ll be around if any problems arise! Let The Chuba Company put a roof over your head. Contact us today for your free inspection and estimate!